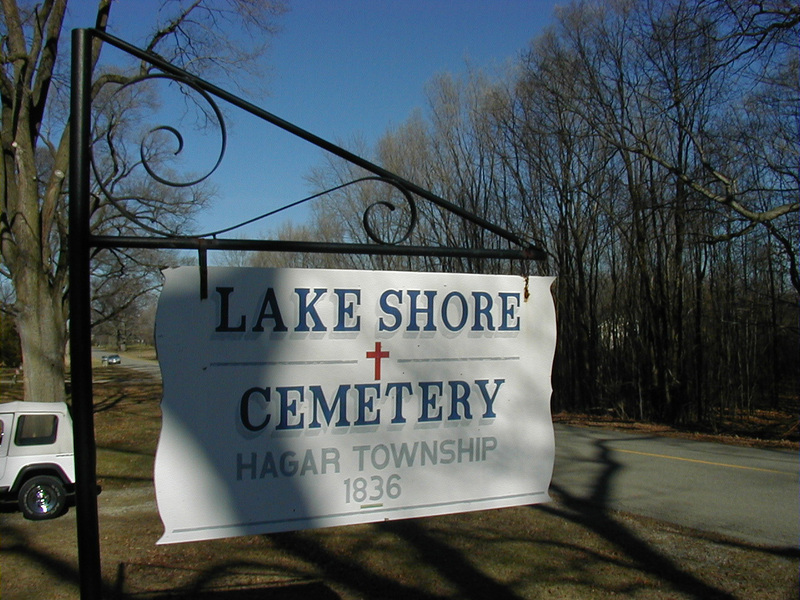 Up until about 1970, the quiet and serene Lakeshore Cemetery bore the name of Hagar #4. The original section of the cemetery bordered the property of Sylvanus Cook. In recent years the wrought iron arch and gates that had been across the front have since disappeared. Several of the headstones are metal markers used as memorials. David and Diane Savage, members of the Berrien County Genealogical Society, transcribed the headstones in 1980 and they found 723 headstones.